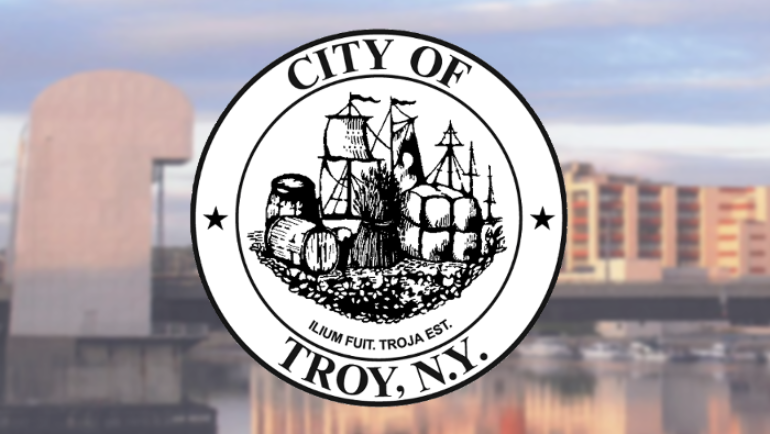 $12.8 million in federal funding has been awarded to the City of Troy to finance the city’s Seawall Stabilization project through the Federal Emergency Management Agency (FEMA). Soil conditions in the site were compromised during the storm, creating an unsafe work environment which suspended repair operations Wednesday evening. The Troy Fire Department will temporarily increase staffing to maintain the department’s emergency capabilities in response to road closures on Campbell Avenue caused by yesterday’s heavy rainfall. The first length of new sewer pipe was successfully installed by Department of Public Utilities crews shortly after noon Wednesday, with officials anticipating the completion of sewer repair operations by end of day Friday, February 26. Excavation operations by the Department of Public Utilities crews continue at the site of the broken sewer line located beneath Campbell Avenue. City officials have issued a traffic advisory due to the collapse of a section of the eastbound lane of Campbell Avenue in the City of Troy. 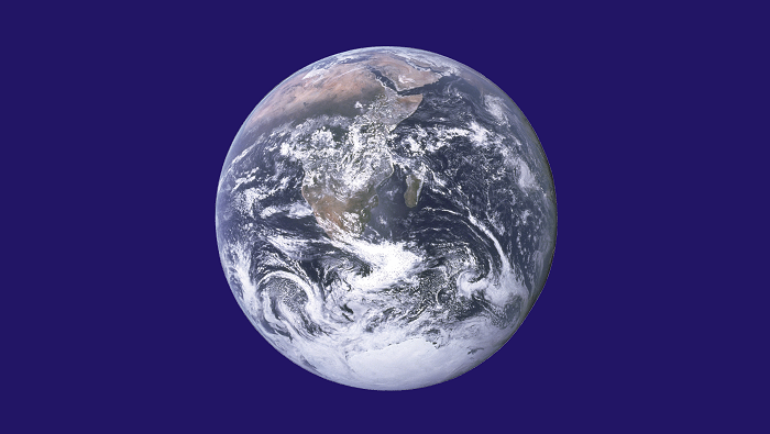 With extreme cold temperatures being felt throughout the region property owners and renters are being asked to be vigilant and take steps to protect their businesses, homes and apartments. 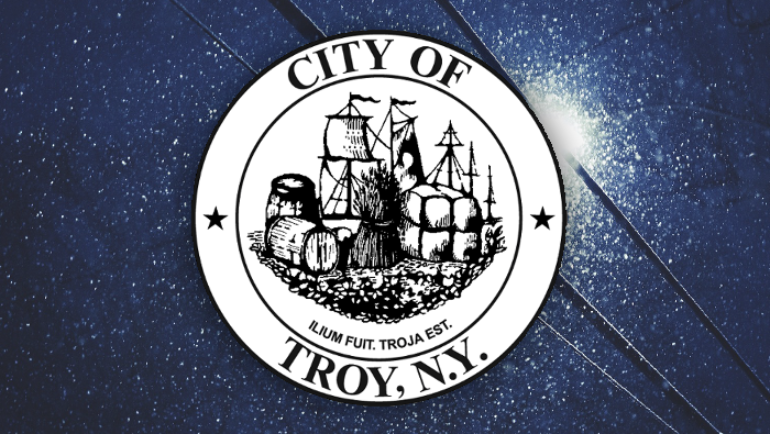 City officials have announced that Troy City Hall will be closed on Monday, February 15, 2016, in observation of Presidents Day and will reopen on Tuesday, February 16 at 8:30 a.m.
First female deputy mayor, accomplished attorney appointed by Mayor Madden were confirmed unanimously by the nine-member Troy City Council during a meeting last Thursday evening at Troy City Hall. Calling for an end to politics as usual, Mayor Patrick Madden took his optimistic message on the future of Troy to the residents of the Collar City on Thursday night during his inaugural State of the City address at Troy City Hall.